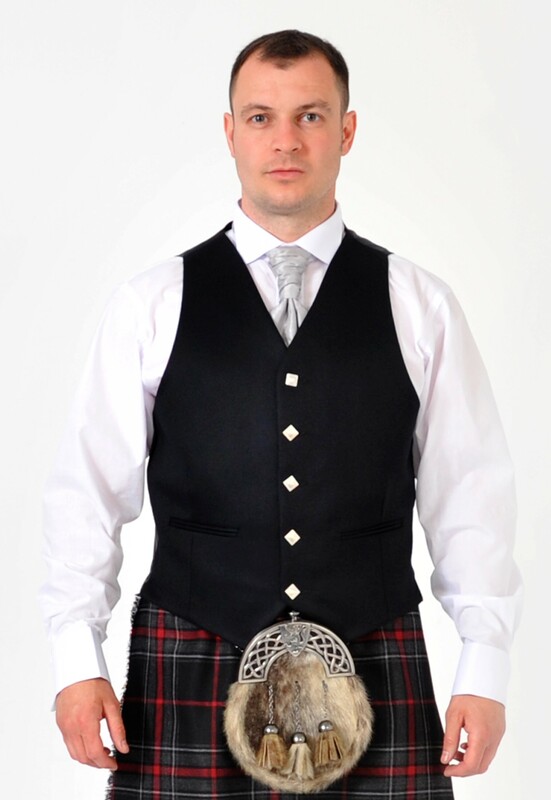 Argyll formal dressed 5 button vest. Made in Scotland. Quality garment, made from 100% Barathea wool. Fitting types: Short, Regular, Long or Extra Long.